Port Vila Golf & Country Club has been established since 1974 and is situated just 10 minutes from Port Vila town centre. This picturesque course is set amongst the back drop of beautiful Mele Bay on the front nine and the rich country hillsides at the back nine. Palm and tropical fruit trees pepper the course to create an interesting round for golfers. The 18 hole course adds the challenge of undulating fairways and the occasional water hazard. This challenging course hosts the Vanuatu Golf Open each year which is sanctioned by the PGA of Australia. 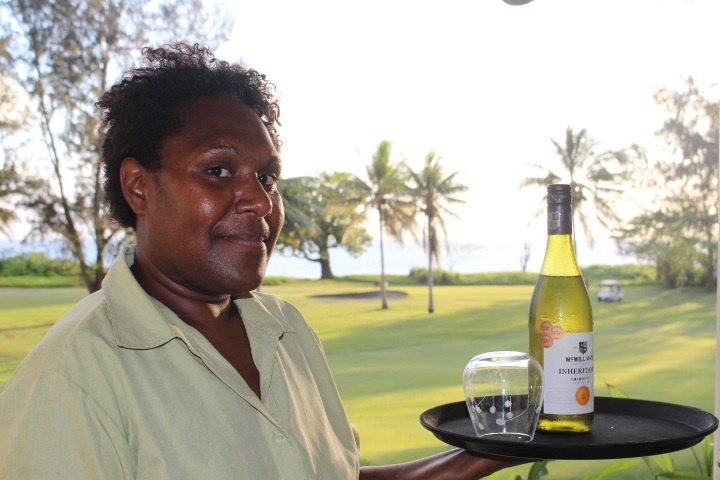 Our friendly staff will assist you with all your golfing needs and a warm Melanesian welcome to Port Vila Golf & Country Club. Catch the cool breezes from the balcony at the 19th with a refreshing Tusker or cold beverage while you reflect on your game. Our clubhouse is available for corporate and social events. Contact our Club Manager here. 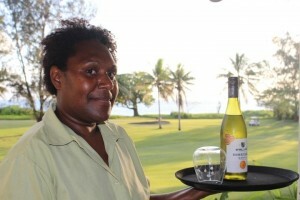 Come and join us at Port Vila Golf & Country Club. © 2016|PVGCC	All rights reserved.